The Moore’s of Hamilton, Montana completed this installation Fall 2010 of a 10 module photovoltaic system which will provide 40% of the electrical power used in their home. 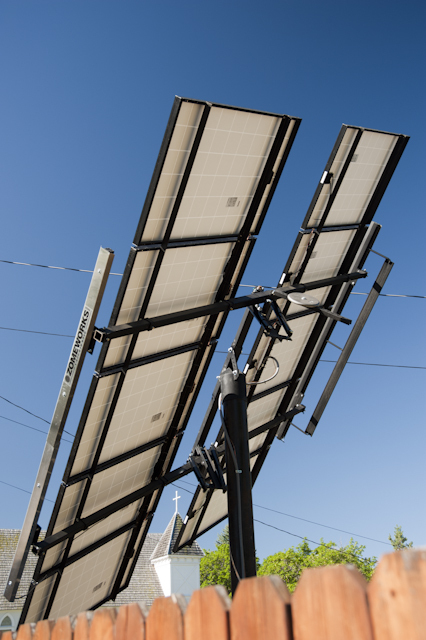 The pole mount solar array is mounted on a tracking system which follows the sun from East to West through the day. The electricity is run into their home where it powers any electrical appliances that are currently in use. 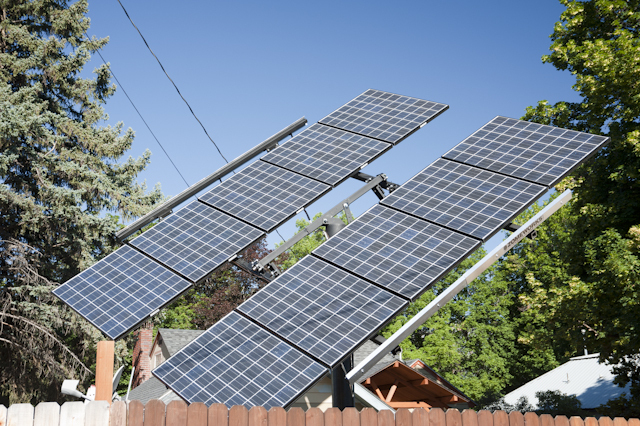 If more power is available from the array than can be used by the home, this excess power will then turn the electrical meter backwards creating a financial credit with the utility. This credit can then be used at night or this winter when the power draw of the home exceeds the solar power production. So you can see that a system can easily be designed to provide any portion of you power bill that a homeowner determines.